Welcome to Insite, Mount Thorley Warkworth's environmental monitoring website. 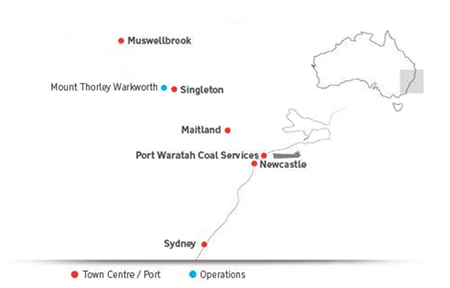 Here in the New South Wales Hunter Valley, we operate an extensive network of environmental monitoring stations in and around each of our mining operations. These stations measure Air Quality, Noise, and Meteorological conditions, providing us with up to date data in real-time. We use this information to manage our activities, enabling us to make good decisions, and change our operations when required. We’re committed to operating in a responsible manner, and strive to ensure we meet stringent environmental conditions at all times. Our Operations use real time data, warning alarms, and specialist teams to ensure each mine is operating within its management conditions as well as ensuring any concerns from the public are responded to and captured. This website shares environmental monitoring data for Mount Thorley Warkworth, along with details of any changes made through our Trigger, Action, Response Plans (TARP’s). A snapshot of community complaints is also presented. To learn more about our complaints process, or noise and air quality monitoring, click on the tabs at the top of this page. You are also able to view all Environment and Approval dcumentation by heading to our Documents Library. The document library is kept up to date with the sites most recent approvals, reports and management plans.